Water4Crops is one of the largest Euro-India collaborative projects co-funded by the Department of Biotechnology, Government of India and the European Commission (under KBBE.2012.3.5-03: Biotechnological waste water treatments and reuse in agronomical systems) that will address the emerging, increasingly important issue for the world: “Water and wastewater reuse and management”. Water4Crops stands for “integrating bio-treated wastewater reuse and valorisation with enhanced water use efficiency to support the Green Economy in Europe and India”. The project brings together an Indo-European consortium of 36 organizations [14 Indian and 22 European] belonging to research institutions, universities, large industries and SMEs. IFAT India is the country’s leading trade fair for water, waste, sewage, and recycling. 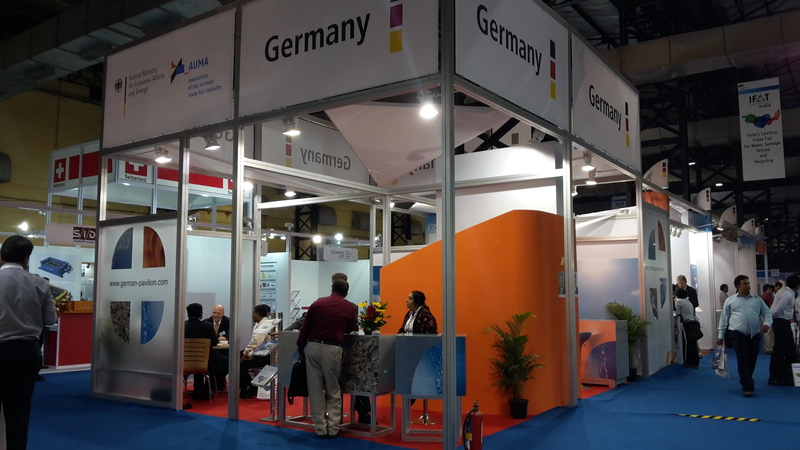 It is an annual event, which aims at providing an excellent international platform to showcase the full range of environmental technologies and services, with a comprehensive product portfolio from basic to highly sophisticated machinery and environmental solutions both from domestic and international exhibitors.IFAT India is being organised by MesseMünchen International. The next edition of the fair is scheduled for October 12-14, 2014.